Step back and look at any organization what you will see is the manifestation of its culture. By culture we mean values, themes, behaviors, passions expressions and actions that take place inside a group ~ in this case a company. Culture gets established by a combination of 1) how the company was built, 2) its history and evolution 3) the leadership that is being provided inside that company. People inside the company operate consistent with whatever culture has been established or set. The leader’s job is to create a culture that serves the needs of the stakeholders ~ its people inside and outside the company, meaning employees, customers and suppliers. 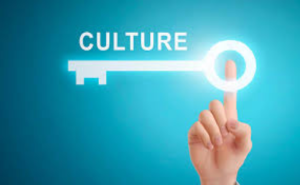 Whether or not these themes and values are overtly clear to the people in the organization, will dictate the extent to which the people themselves operate consistent with the culture. Obviously it’s most effective when those values and behaviors are made public and clear to the people in the organization. We have found that the best way to do this is to have those values in writing made public and talked about regularly. Several of our clients have done a splendid job of doing this and in one company in particular it’s pretty hard to walk down a hallway and not see the values of the company posted for all to see. Our experience of companies that do this well is that the employees are keenly aware of these values and are more likely to operate consistent with them when they are vividly displayed. One of our clients has their values up on the walls about every 15 feet. There are some recent examples of companies who went off course because the values of the company were not patently clear to the management and employees. One such example is Wells Fargo Bank which is an institution that built its reputation on integrity, trust and financial prudence. That translates to “you can trust our company with your money.” However, recently people in the company lost the plot and the company began managing growth and new customer acquisitions “at any cost”. They began to favor and incentivize gaining new customer accounts over being trusted custodians of their customer’s finances. The compensation system began to reward people making the “numbers” vs. people providing excellent service and financial prudence. Consequently, the employees began inventing fraudulent “new accounts” using established customers’ finances without those customers knowing or giving permission to use their information to do so. This unethical behavior was completely inconsistent with what Wells Fargo has stood for for over 100 years. How could this possibly happen? It happened because integrity got replaced inside the culture by greed. The culture had become corrupted. The leadership began leading for near term gains and abandoned the timeless values that made their company successful for decades. When all of this was discovered and came to the surface, Wells Fargo lost the confidence and trust of the public and they are now hard at work trying to rebuild that trust and reformulate a culture that seemingly got destroyed in a relatively short period of time. Now they’re investing millions of dollars to market contrite apologies and begging for another chance to prove themselves. Another example of a culture going off course is with Facebook. 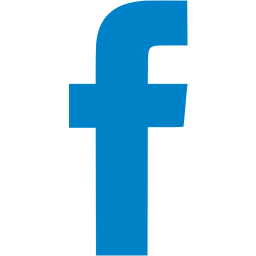 Facebook made its mark as it was originally designed to serve people by connecting them and providing a platform where people could share their most personal details, family events, special occasions, and connecting with old friends and lost relatives. It fulfilled on that purpose for many years delivering unimaginable growth for well over a decade. However, the people at Facebook saw opportunity to take this information, peoples’ personal information, details, behaviors and habits and use that information to exploit the people who trusted Facebook to deal with this information ethically. It began to package and sell this data so that companies could target markets, and as we now know, even influence peoples’ thinking about social and political issues. People literally began being co-opted (brainwashed) by sinister campaigns that would post fabricated stories and information to sway peoples’ thinking or to incite consternation. Again, how could this happen? Sadly, again the answer is greed. The culture became corrupted. Facebook saw the opportunity to exploit its customers and took it. Why? Because the values set at Facebook were focused on growth and expansion and not being a custodian of peoples’ personal information. In both cases what happened is a failure in managing the culture. I give both companies the benefit of the doubt that they once had noble, admirable and ethical intentions, but those things were not translated over time into the culture by leadership. The leadership failed to do its job to 1) set the vision, 2) have a strategic plan, and 3) get people excited about it and get on board. And as we all know in both cases, when it went off the track it did enormous damage to both of those companies respectively. When the values of a company are made clear, public, are talked about and validated, it is our experience that the people in the company line up around those values and behave consistently with them. When they are not clear people are left to do whatever else they might do because there’s nothing guiding the course and therefore their behavior. The key is to have the leadership set the values of the company once they really believe it and stand for it. Make those values clear and public (displayed vividly), roll them out to the employees and keep revisiting and reinforcing them to validate them. Our experience is that when this happens companies stay the course. They live and breathe the values. And when that is not the case it sticks out like a sore thumb. In short, culture drives behavior. As leaders it is our job to deliver value and make a difference in those things that matter. This requires focusing our time and energy on the things that will really move the dial forward. Equally important, is that we don’t spend time on things that don’t make a difference and don’t really matter. This can be a challenge because most of the things that come at us in a day come at us with an apparent level of importance indicating that they get dealt with immediately. However, my experience is that not all things that come to our attention deserve our time because working on them to resolve them will not make any real difference. Successful leaders have honed the ability to discern which things are going to make an impact and which things are comparatively trivial and in some cases irrelevant. 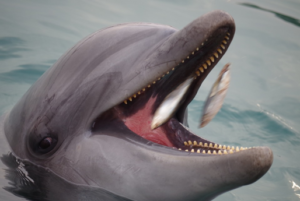 *The reference about a free fish comes from the training of dolphins. They are very smart mammals, probably the most intelligent next to humans. They learn very quickly because they are rewarded with a fish when they do tricks. But dolphin trainers have an additional technique they call a “free fish”. Every so often for no reason at all they throw the dolphin a fish. The dolphins know that and pay close attention to the trainer at all times in the hopes they might get a spontaneous “free fish”. In this situation the president of the company gave her team a “free fish”. They wanted to win the debate and she let them. This demonstrated to me that she was using her wisdom to determine where she was going to invest her time and energy. As leaders we are required to invest our time in a great many things and most of it isn’t leading per se. I have seen the “free fish” technique work brilliantly with teams in negotiations and even at home. Try it out and see how it works. At a very early point in my career as a business consultant it became clear to me that really what we do in organizations is talk, or have conversations. I discovered this for myself in practical everyday situations that what’s really at the heart and soul of an organization is “a set of conversations”. Said a different way, what is happening all the time in an organization is conversations are taking place at every level and with everybody. For example, executives talking to the Board, managers talking to employees, employees talking to customers, suppliers talking to buyers. Both the quality of these conversations, and which conversations are taking place, largely determines the commitments of an organization and therefore its results. These conversations are what drives thinking, strategy and decision-making. In a very real way one could say that you are paid to have conversations. Since the quality of these conversations is what determines the actions to be taken it makes sense to conclude that the higher the level of a conversation the more value will get added to the business. For instance, if we’re “just chatting”, we will not likely be having conversations that make any change or contribution to the organization. If we are having conversations about what our business is up to, we will have an entirely different level of conversation ~ one that potentially adds value. Conversations take place prior to the initiation of action. Whether the company moves forward on a capital investment is a function of the conversation that took place right before that decision was made. Whether to staff up or staff down is proceeded by a conversation. Whether or not a company competes in certain markets is the result of conversations. Obviously in any conversation there are two main components ~ a speaker and a listener. There’s what’s being said by one or more people and what’s being heard by one or more people. Typically, most organizational cultures favor avoiding confronting difficult conversations. Consequently, I am a big fan of people speaking up ~ getting things on the table to be addressed and not ignoring the “elephant in the room”. Consistent with that, throughout my career I have encouraged people to do exactly that: speak up. Say exactly what’s on your mind. And to get those issues addressed. Getting things on the table allows for issues and concerns to be dealt with in an open manner. And we have found that when people are open and are willing to talk about the issues, including critical or difficult ones, better decisions get made, and therefore more effective actions take place. This kind of open communication breeds success in organizations. However, there are some conversations that are not productive and do not move things forward. Saying what’s on your mind is not always the right thing to do. In fact, in many cases you would be better off not saying what’s on your mind because it is not going to move things forward and serves to do exactly the opposite and shuts down the conversation. I’ve seen this happen over and over again. And when this is the case I suggest that we zip our lip and instead, take a deep breath, let the cosmic energy flow through you, “grasshopper”, because what you’re about to say is only going to cause problems for you and everyone else. Therefore, in those situations, the best course of action is say nothing. The adage holds true, “silence is golden”. For example, let’s say you have a negative attitude from past experiences with the IT department in your company. And there’s a discussion in the room about turning something over to IT. And here’s your chance to take your well-deserved dig at IT one more time so that you can be right again with “I hope we don’t run into the typical problem we always have with IT.” Nope ~ zip it. It will make no difference and it will only do damage in the relationship and that is not what you need right now. Instead of building trust it will destroy it. What I’ve observed over the years while working in many organizations is that these conversations which I’ll call “conversations for no possibility” are usually had by certain people who I consider the “naysayers”. These are the “glass is half empty” folks who look at the situation from what’s wrong with it while focusing on the flaws. Such people and such conversations serve to slow progress down or stop progress altogether. So many times I’ve seen these naysayers raise their hand right when we’re about to make an important decision and lob in a non-sequitur. It’s usually in the form of a question that sounds something like this, “Do we know what business we’re really in?”, or “We tried this before unsuccessfully. What makes us think we can do it this time?” Full stop. Once they do this you can watch what happens to the conversation right there in the room. What was just before a focused, positive conversation steadily advancing the ball, is now completely thrown off track by this “psychic bong hit” that just got blurted out and throws it into a whole other gear. It creates a kind of dizziness in the room. My assessment is that though these people consider themselves fundamentally committed to making a difference, instead of their contribution serving to forward the action, it derails it and sends it off in a different direction which is almost always non-productive. And the other people in the conversation are left with questions and doubts about what the naysayer is out to produce.